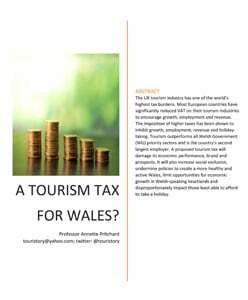 A Tourism Tax For Wales? 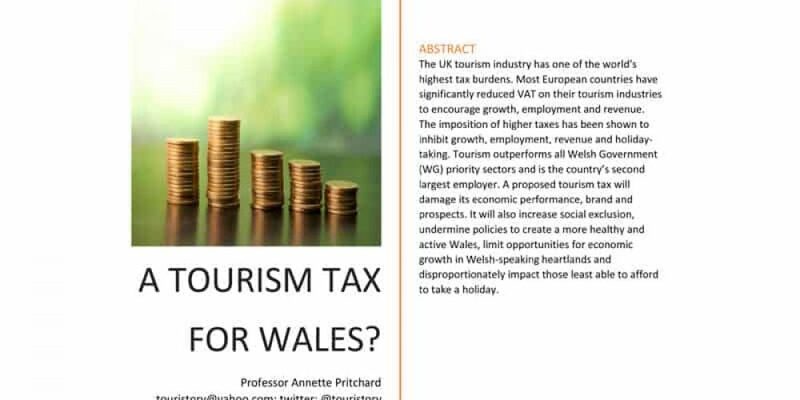 Home >> Research & Strategies >> A Tourism Tax For Wales? The UK tourism industry has one of the world’s highest tax burdens. Most European countries have significantly reduced VAT on their tourism industries to encourage growth, employment and revenue. The imposition of higher taxes has been shown to inhibit growth, employment, revenue and holiday-taking. Tourism outperforms all Welsh Government (WG) priority sectors and is the country’s second largest employer. A proposed tourism tax will damage its economic performance, brand and prospects. It will also increase social exclusion, undermine policies to create a more healthy and active Wales, limit opportunities for economic growth in Welsh-speaking heartlands and disproportionately impact those least able to afford to take a holiday.